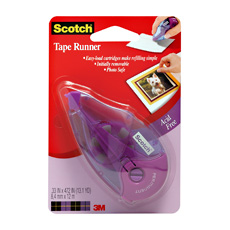 Ideal for craft and scrapbooking projects. Neater than glue, this product is repositionable to help reduce re-dos. Perfect for mounting pictures, documents and memorabilia. Refillable.